“How do I optimize Facebook campaigns?” This is the question that I hear all the time from clients to whom I teach Facebook marketing. Of course, it depends on the product or service they sell, but if they choose the “Conversions” objective among the many in the Facebook Ads Manager, then they aren’t making a mistake. I typically use it with all of my e-commerce clients’ stores and it really works. Today’s guest blogger is Zsolt Farkas. He is the CEO & Co-founder of 7 Digits Growth Marketing Agency. 7 Digits is a measurement-driven growth hacking agency with a strong focus on testing and optimization-based business growth. 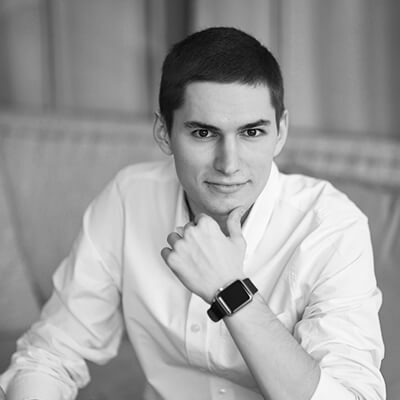 Zsolt specializes in social media marketing (Facebook, Instagram, Snapchat) and marketing psychology. He is also a guest author for Forbes Hungary. This objective is good when you want to sell something directly and your goal with the campaign is to convert, not just to generate brand awareness or traffic. For this campaign, I tell Facebook to optimize the campaign for conversions rather than for clicks or impressions. Facebook starts to share my ad with people in the target audience. Facebook tries to find people who are similar to those who actually convert. Usually, it begins by targeting the audience that you created. But it also has the ability to expand your audience and search for people who seem to be a good fit for your campaign goal. Why? Let’s say you want to sell razors to men, but you only selected the age range, the gender and “razor” interest category. Facebook figures out that it can sell a sh*tload of razors to those men who like sportscar Facebook pages. So Facebook starts to show your ad to this audience in spite of the fact that you didn’t target them at all. Facebook can do this if you check this little box below the detailed targeting part of the ad dashboard. And voilà, you have more conversions because of Facebook’s machine learning algorithm. First of all, you have to implement the Facebook pixel into your site, which allows you to run remarketing campaigns. In order to run conversion-based campaigns, you also need the “purchase standard event.” It’s an additional pixel that you have to insert in the page that shows up after a conversion (the so-called ‘thank-you’ page). So only those people will see it who purchased from you. CPM is a number that shows the price of one thousand impressions for a specific audience, displayed in your local currency. It depends on advertiser competition on Facebook when you advertise. How many other advertisers target the same audience? How much they bid on these people? How their ads are performing at the same time? These numbers all affect the cost of your CPM. For instance, 7 Digits ran an email collection campaign during the presidential election in the US market. Three weeks before the election, the CPM was around $19 among corporate managers. During the last two weeks of the election campaign, our CPM shot up to $46 with exactly the same audience. CTR is a pretty important KPI for Facebook marketing. While CPM is a number you don’t affect, you can improve your CTR by showing valuable, relevant content to your audience. The average CTR is around 1%. Between 1% and 2%, your CTR is not bad. Above 2%, your numbers are good. If you can produce 4% or 5% CTR, it means that your ad or post is really engaging and your audience shows strong interest in your offer or message. You spend X money to get Y conversions. The question is how many conversions you can get for that ad spend. That’s your CPA. If you can make a high enough margin, that’s great! Then, you can spend more on PPC (pay per click). But if the CPA is too high, you better start testing multiple variations of your ads and, based on data, optimize them. This is a number between 1 and 10 that measures the relevance of your ad among the target audience that you set. It correlates with the ad’s performance and users feedback (Reactions, shares, comments or hiding.) Below 5, your relevance is poor. Between 5 and 7, your relevance score is average. And above 7, your performance is great. This is how many converted compared to the number of clicks on your link. I must add that the UX of your landing page or webshop matter a lot in this part of the user journey. Your ad is only the first step in the funnel. After that, the rest of the steps should be compelling enough to persuade the user to buy. Marketers and entrepreneurs who do campaigns for themselves tend to stop running ads too quickly because of “intuition” that the ads won’t perform well. But if you want to run your campaigns like a pro, you have to make sure to calculate significance, or whether you have enough data to get a full picture of your ad’s performance. With Mixpanel’s split testing calculator, you’ll be able to get real results with significance. Above 95% significance, your results are valid. Setup the measurement system behind your campaigns properly. You can check your pixels in your website by Facebook Pixel Helper extension. Always test several ads in order to get better results. The more you test, the better your conversion rate will be. It really matters! Try out Adespresso for cool software that makes sure you don’t have to create several ads one by one. Relevance score matters. It is an aggregated number that shows you the ‘opinion‘ of your audience about your message or offer.